I don’t mean the it’s-8-o’clock-on-a-Monday-let’s-get-in-the-car-to-Vegas!! type of spontaneity. I mean the kind where you’re ready and able to be open and engage with anyone, anywhere, no matter what is happening. How many times have you gotten the opportunity to talk to someone you really wanted to talk to — and totally screwed it up? In 2006, when I was working at the Dana Foundation in New York, I helped put on Eric Kandel’s conversation with then-chairman (and dearly departed) William Safire at the 92nd Street Y. I read the galley proof of Kandel’s book In Search of Memory (which you should totally get) and did what side research was necessary to help develop interview questions, and in so doing fell in love with Kandel’s work. And, I’m not gonna lie, I fell in a little bit of love with Dr. Kandel, too. You get the sense that he goes through life with this smiling attitude just by reading his book, and then you find out he really is laughing all the time and I mean be still my heart, man, he’s just a total joy. I knew that after the event at 92Y, I was going to have the opportunity to say hello and ask him to sign my book, and I agonized about what to say for days and weeks. It wasn’t going to be the time or the place for a long drawn-out conversation on how Kandel’s work was affecting my perspective, but I did want whatever I said to be memorable and interesting and smart. Okay, brilliant. So the event was over, we got the place more or less broken down, and Dr. Kandel was still there talking with a couple stragglers who, luck would have it, turned to leave just as I came up. Which happens over and over and over whenever I meet someone I have half an interest in meeting, whether it’s something anticipated like Kandel or something out of the blue, like running into William H Macy or Cate Blanchett at a stoplight (don’t even ask). It’s akin to the feeling of regret I wrote about a couple weeks ago, where after you’ve failed to say something you absolutely should have, you’d do anything to have that moment back, but it’s not quite the same. That had to do with knowing full well in the moment what you should say and consciously not saying it because you can’t handle the vulnerability it requires. This is about not having a clue about what to say in the moment because too many thoughts and emotions are running through your head. Which is what I mean by spontaneity – being able to relate openly and unabashedly with anyone, anywhere, anytime. The stuff that runs through my head at such times is laden with the ogres and trolls of ego, with misconceptions about who I am and who I want to be and how I want to appear and how I’m sure I must look, and the neuroses that attend to the distances between those four Shades of Ian. I do this because I don’t trust myself to just be “myself” – whatever the hell that is – at the drop of a hat, or any other time, really, and so I get tangled up trying to figure out how to present. I like to imagine myself as a composed, imperturbable, unflappable person, but the truth is I feel like a little kid in these – honestly, in most – situations. I think of my dad, and I think of some of my friends’ dads, and that’s what unflappable looks like to me. I mean, when was the last time the cat got Clint’s tongue, Coop, am I right? Imperturbability seems to come from a combination of knowing who you are, and being in general not all that impressed with people. There are two ways to achieve this level of equanimity – through arrogance and through abandonment. Though I have a feeling the uber-arrogant are never quite as comfortable as they come off. Or they’re sociopaths, which is a different post altogether. Trungpa would say that you abandon your ego by developing compassion, and that one of the ways compassion develops is from sunyata, or emptiness. 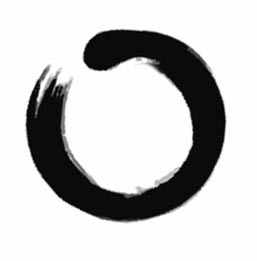 That can be a confusing concept if you haven’t been introduced to it, so for the purposes of this suffice it to say that sunyata implies “no ground” – that is, none of the ideas you have about yourself-as-you-are OR -as-you’d-like-to-be have any basis whatsoever. Where do those ideas come from in the first place? you start to wonder. They come from other ideas, which come from society and memory and impressions and dreams and hopes and fears fears fears and not from anything actually solid. So they don’t actually mean anything or have any actual basis in reality. Which after a time frees you from trying to be, well, anything. It frees you from TRYING, and allows you just to be – to be whatever the situation calls for. Besides which, Cate Blanchett, I guaran-effing-tee you, is NOT worried or even thinking about what kind of person you are. Ever. If you can get those two ideas down – the conviction that we are always on shaky ground and the humility that no one cares – then you can begin to realize that the person you’re so intimidated by isn’t all these things that you and the world at large have built them up to be. In that moment, that person is nothing more than just a lump of flesh, decaying and rushing towards death at more or less the same speed you are. And thus can be dealt with as you are. However you are. Not as some other, whatever other, version of you you’re not. So, then – how do you put into practice this notion of emptiness, how do you develop your compassion, how do you shrink and slay and shatter your ego if you’re not a Buddhist? Do more things for more people more often, and you’re practicing not cherishing yourself more and more. And the less you cherish yourself, the more you realize there’s no self there to guard so jealously and get so worked up about – let alone multiple selves to completely freak out about – so there are way fewer walls or fences or obstacles of any kind, really, between you and whoever you happen to run into. Which means that the next time you look up from your phone to find you’re standing next to Cate Blanchett, you can relate to her with spontaneous compassion – as a simple person, in other words. You can be patient with your mom. You can be generous of spirit, even with that malcontent at the grocery store. This carries over into the other kind of being-ready-to-say-what-you-mean, because in the process of preparing your soul for baring at a moment’s notice, you’re also preparing it for baring no matter what the risk. To the extent that spontaneity and vulnerability combine, you become tougher and tenderer. Tenderer, because you’re laying your heart open, and tougher, because there’s nothing that can come of it that you can’t handle. So yeah, that’s an option. Just keep your head down and do your thing and be generally nice to people and probably you’ll wind up a sage old dude/womanequivalentofdude. All this I just rambled about is just a way to be conscious of what’s happening to you, and to maybe speed up the sageness a little. If you’re interested in that. If you’re not, go ahead and be uncomfortable as a whore in church next time you see Cate. No skin off my back. As always an enjoyable read. I lost my awe of people in my twenties. The few people who have truly impressed me were very humble and kind people. And what you said is true, the more you give, without expectation of return, the more you can relax in this self that is no self. And you can either remember that, as the Buddhists say, everyone at one time, in our cycle of reincarnations, were our mothers. As I do, reflect that in the end we all face the same destiny and we all were once babies. Thanks, Rigzen. I really like this, especially that idea of “all mother sentient beings,” and the idea that we were all once babies. My fiancee has started using the latter as a tactic to deal with difficult people at work. She tells herself, “Homeboy just didn’t get enough love as a baby. He’s just a baby crying out for some love and attention.” It works for her, or at least helps. And it’s so much easier than carrying around annoyance all day long and letting it grind in your gut.